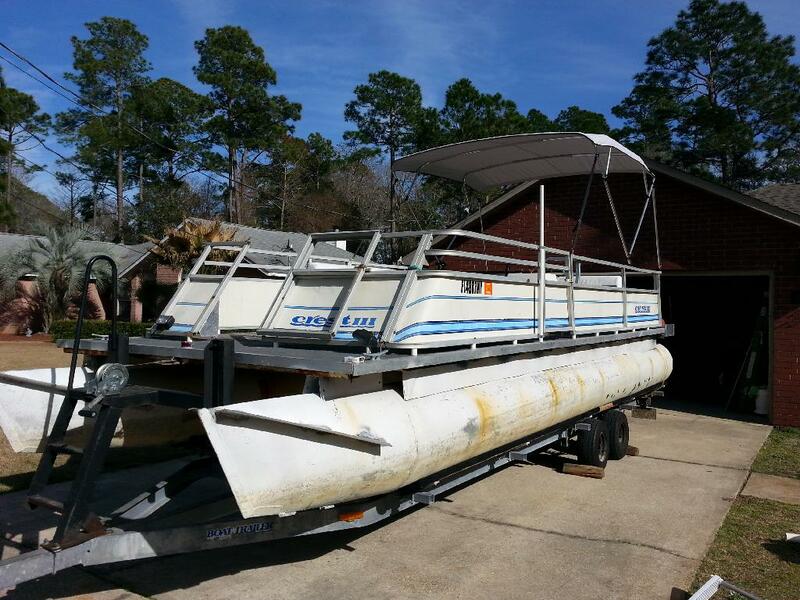 His latest project, which is near completion, is the restoration of our 22-year-old pontoon boat. 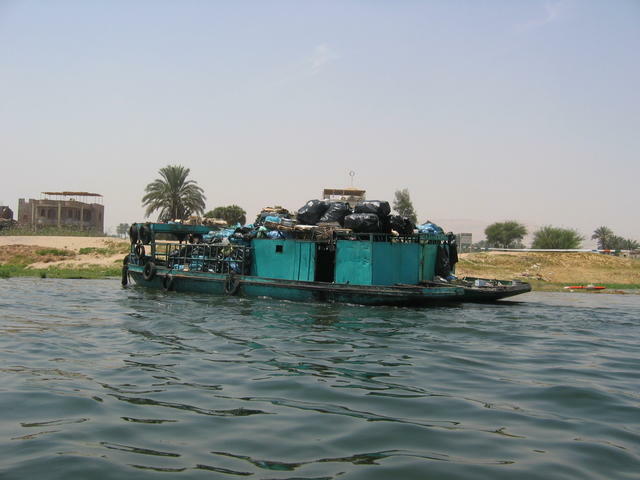 The old barge was seriously showing its age. The vinyl upholstery was stained, cracked and ripped in spots. The carpet was worn and faded. The canopy had gross bird poop stains, spider webs, and wasp nest on it. Now that I think about it, I suppose it could have passed for a garbage scow. Out of respect for our neighbors on the lake, we kept it covered. Not long ago, we went window shopping, sort of, for a new pontoon. We almost went into cardiac arrest at how much more expensive pontoons are these days as compared to what our antique vessel originally cost us. We decided to stick with our floating hunk of junk. In April, when we had our pitiful pontoon delivered from storage, MG had it parked in the driveway’s parking area. He announced that he was going to restore it himself. I admit that I had my doubts. He restored several collector cars in the past, but could he restore a boat—especially one that was on its last pontoons? MG removed everything—the railings, the couches, the fishing seats, the pilots seat, the live well, the control console—and then set to work on the carpet. Yikes. That carpet was stuck to the deck like a second skin. MG scraped and chipped and sanded it but couldn’t get it all off. Finally, he rented a professional industrial grade sander. He walked it over the deck and that did the trick. The pontoon was a garbage scow no longer and MG had a blank canvas to work on. I got to play a small part at that point. I helped to choose the design and colors of the new couches and chairs. 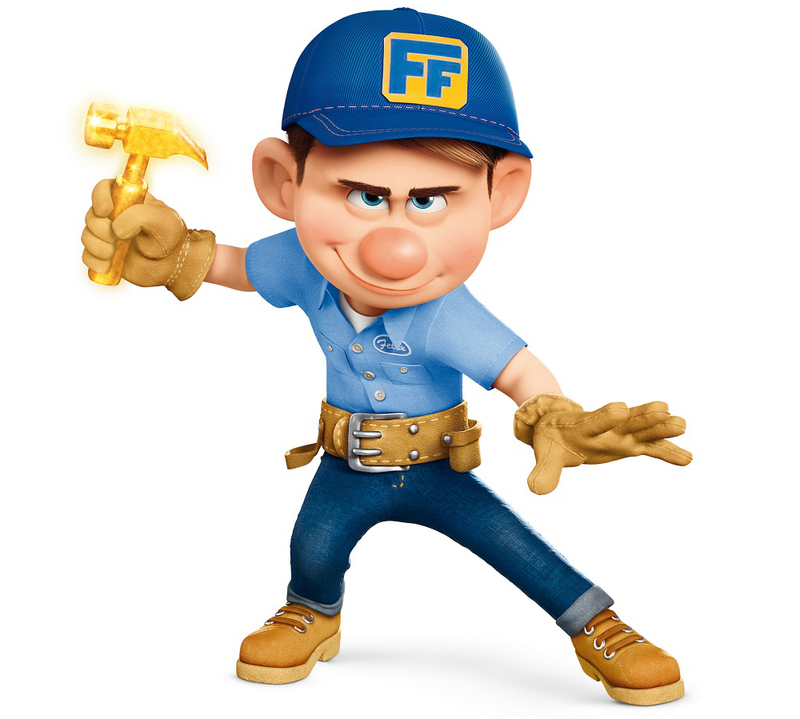 With the temperature warming up and summer nearly here, MG got another handy guy from the neighborhood to help him put Humpty Dumpty back together again a little faster. He wants it ready to launch as soon as possible to take advantage of Michigan’s sadistically short summer. 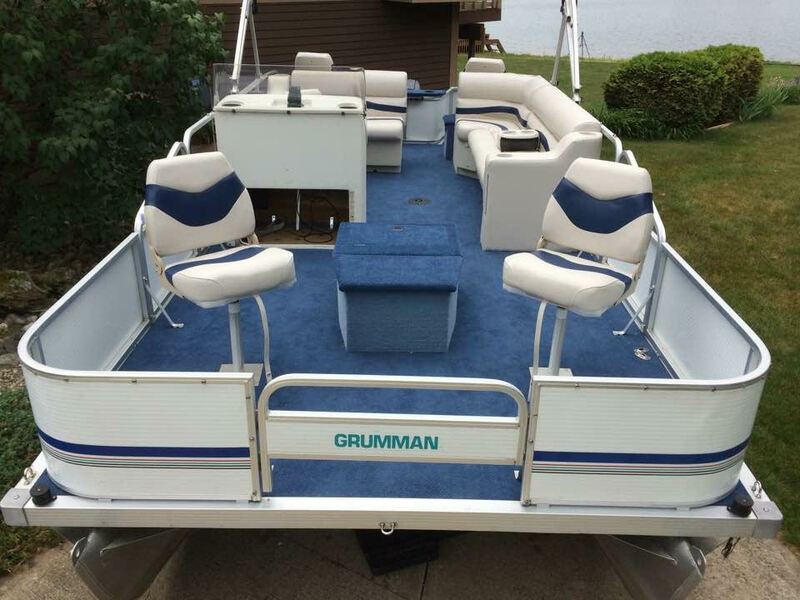 We also need to have the newly refurbished and almost good as new pontoon in the water when the North Carolina branch of the family comes up to visit us during the 4th of July holiday week. Our grandsons have put Grandpa on notice that they want to fish the entire time of the visit. They’re serious. During their last visit, they fished from dawn till after dusk. They showed the fish no mercy. One more visit to the local hardware store will put the finishing touches on the pontoon restoration project. The family’s super-duper fixer upper will be a handyman hero once again. Looks great. Nice to have a handyman husband.